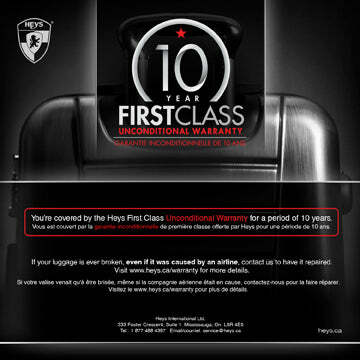 Home / ALL / hardside-luggage / elite-series / super-tough / tsa-friendly-lock / checked-medium-size / 200-to-300 / Cronos Elite 26"
The Cronos Elite is our flagship luggage series (covered by our flagship 10yr First Class Unconditional Warranty) where monolithic styling meets modern materials and technology. This new series of luggage draws on Heys' unique designs and creativity to create luggage that look classically elegant, yet are made to withstand the abuse of modern travel. Its sleek design looks like it is sculpted straight out of a block of metal and is completed with a realistic brushed metal finish. 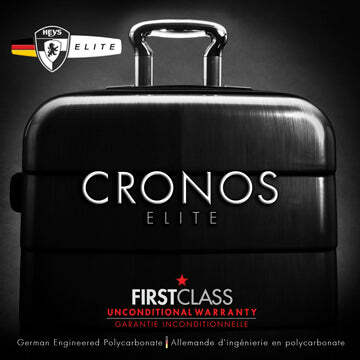 The Cronos Elite is a 26" Spinner Luggage made from our German made PURE PC Polycarbonate plastic. 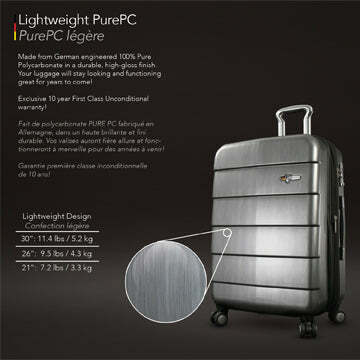 It is the toughest, most durable material we have ever used in our luggage. 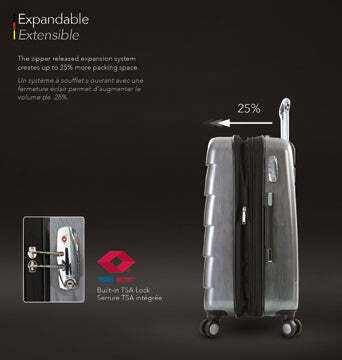 The Cronos Elite 26" also comes with a built-in TSA Lock. 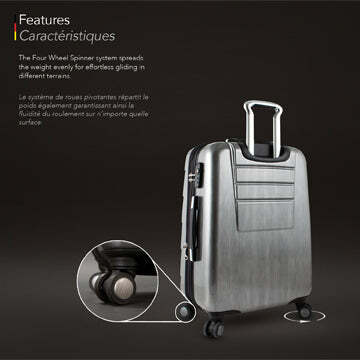 Its Spinner wheels with a matching brushed metal finish provide easy maneuverability and allow for effortless gliding in different terrains. It has a push-button telescopic handle system with multi-stage locking heights as well as top and side handles with TPR foam for better support. 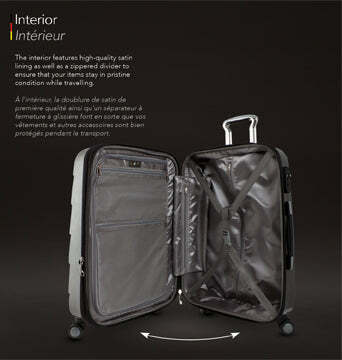 It comes with a zippered expansion system allowing for extra 25% in packing capacity. The interior has been completely redesigned with a luxurious satin lining. The 26" Cronos Elite has a built-in 3 digit combination TSA lock, these locks only allow certified TSA officials to open, inspect and re-lock your luggage if necessary. The Cronos Elite has a solid design that offers incredible strength, durability, flexibility and lightweight properties altogether.